Hey girls, sorry for the lack of posts recently, I've been so busy but I have a few posts planned for the next few days! I've had to come to terms with the fact that I have a ridiculous obsession with buying, trying, testing and loving hair treatments and and beauty products. But the best thing about it is being able to find things that work for me, which is why I have to share this with you all. I love hair products that promise to make hair better; 'repair' 'treatment' and 'condition' are words that literally jump out at me and make me try something, so picking this up was a no brainer. I was in Superdrug stocking up on new products when I came across this, for £1.54. It was half price, so I nabbed it after hearing a couple of good reviews about its magic repairing powers. I've been using this for 6 days now, and I have to admit I am absolutely in love with it. 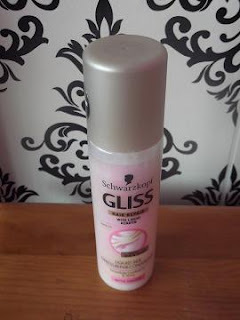 It is the perfect quick fix if my hair's looking dull and dry, this instantly brightens it up and makes it soft beyond belief. It smells absolutely gorgeous, sort of a fresh girly smell, perfect. It sprays on so easily and doesn't leave your hair feeling or looking greasy in the slightest. For a bargain of £1.54 who could argue? 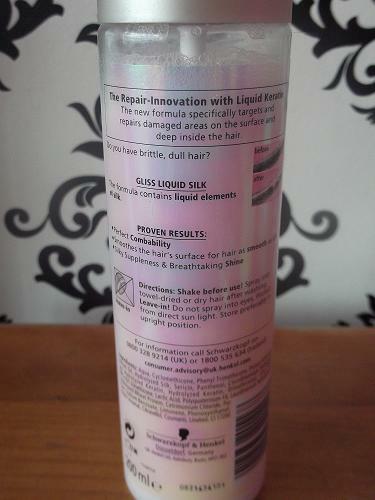 The fact it can be sprayed onto wet or dry hair mean its a product that is not only versatile but also addictive as I've found by constantly spraying this morning and night. The bottle is lovely, a pink shimmery effect, need I say more? 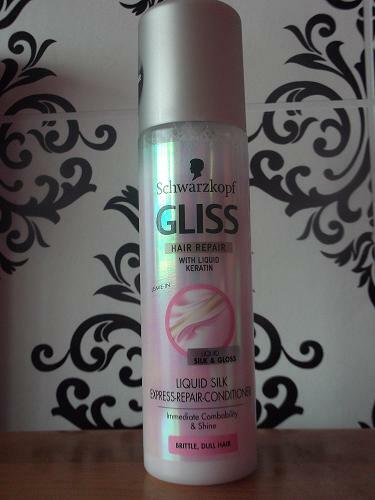 Shwarzkopf Gliss Hair Repair is a product I'd definitely repurchase, I'm stocking up on a few bottles tomorrow before they stop running the offer! Definitely a holy grail product I've found is year so far, I'd definitely recommend! 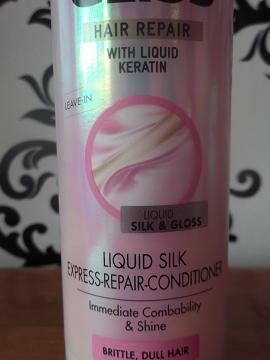 Have you tried the Shwarzkopf Hair Repair Leave-In Conditioner? What did you think?